This is an eight inch aries-style outer hub adapter that fits perfectly with an aries-style tire. This is an affordably-priced part for a Camera Transporter. 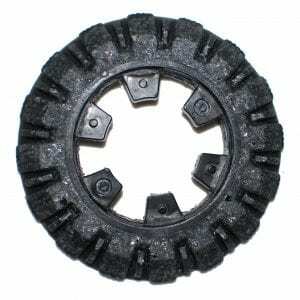 This piece has an outstanding durability quality, able to withstand heavy wear and tear before needing replaced again. Camera Transporters are a useful tool when inspecting pipes for damage or clogs, whether it be for your client’s home or business. 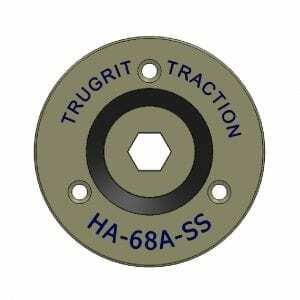 Here at TruGrit, we offer affordable prices and a wide variety of parts sold from different models. It is guaranteed that we will have whatever part for whatever model that you are looking for, whether that be an aries-style or another model.